All of Charles Clarke’s diaries have now been entered and work continues on identifying the many people mentioned in them. “I was born at New Parks Leicester, England on the 15 th August 1843, being the 7th son and the youngest & 12th child of John and Sarah Clarke nee Coltman. I lost both my parents when I was 3 years old. I was educated at the Collegiate School Leicester for 5 years and spent 1 year in France with Mons Lebon, a Professor of languages. While there I learned the French language at Neuville N Dieppe. On returning to England in 1860 – In the December of that year I went as a cadet on a 400 acre farm of Mr Edward Wortley, a noted breeder of Shorthorn Cattle and Shropshire Down Sheep, where I spent a very happy two years”. With these words, Charles Clarke introduces himself in a document he wrote describing his early pioneering life in Omaha (now known as Leigh), New Zealand. He kept a diary almost all his life in which he recorded a fascinating succession of information related to his everyday life and work. Some of the information he wrote down in his small notebooks we might almost dismiss as bordering on trivia , but as the reader progresses through the days and months they will begin to realise that the content is not some flippant “what did I do today”, but a serious collection of facts and figures and causes and events and of farming and horticultural methods which in future years he would refer to and use as his life’s reference. Charles Clarke was my great grandfather. He died in 1929 and so he missed me by some 11 years. He seemed to be ever present throughout my childhood though. The mysterious “Grandpa Clarke”. It was obvious that he had had a considerable influence on the development of the young Omaha district and also on his increasing family and the friends and neighbours of the pioneering village. Lets go back to the document he wrote around 1902 where he is writing about the original pioneers of Omaha. “I left [the farm of Mr Edward Wortley] in December 1862. On reading a letter from an Albertland settler to a friend in Leicester I got the idea of coming to New Zealand so I said good bye to 4 brothers and 5 sisters and embarked on board the ship “Queen of Beauty”, Captain Chapman on the 5 th May 1863. The Wyatt family were my fellow passengers. This was during the time of the American Civil War. One afternoon we sighted a vessel on the horizon on our port bow. After tea in the saloon we were playing cards, we heard three shots fired across our bow, so the captain gave the order to heave too, so we ran on deck and saw a boat approaching us, so the sailors let down a ladder and an officer climbed on board, he was the Second Lieutenant of the Notorious Confederate cruiser “Alabama” lying wait to sink Federal Merchant Vessels. The officer asked to see our ships papers. So he was asked down in the saloon, and he satisfied himself that we were a British ship The Captain ordered the Steward to put grog on the table, so we sat round the table chatting. The Officer told us they had not been in any port for several months, so could we give him any newspapers, so we went to our cabins and gave him what we had, after shaking hands with all of us he went back to his ship. Note The “Alabama” was sunk by the Federal vessel “Merrimack” after a desperate fight in harbour. The “Queen of Beauty” arrived in Auckland harbour on Sunday August 9 th. Mr Wyatt and I visited the Land Office and heard that a block of land in the Omaha District was being surveyed into sections and would be open for selection early next year (1864) we took a trip to Omaha and being favourably impressed with the district we decided to wait until the land was available. The price of the sections in Leigh village had been reduced to £3 per acre – so Mr W and I bought several sections. We could have had the sections that the Hotel and Store now stand on, also Albert Wyatts land, but there was not a stick of timber on those, so we chose the sections the other side of the harbour which were covered with bush suitable for building, fencing and firewood. We came to make a start in the latter part of October 1863, the cutter “Flora McDonald” Capt D H McKenzie (Wee Donald) put us and our belongings on the way to Waipu. We camped on the flat where Mr Gregor now owns, Mr W had brought a large marquee from England which we erected on his land on the hill, he then went to Auckland and brought up the family, furniture and goods, it was a job getting all these things up that steep hill especially 4 chests of drawers and heavy boxes. When Charles Clarke and John Wyatt established their beach-head on the north side of Omaha (Leigh) harbour, Charles was aged 20 and had been regularly writing a daily entry in his diaries for at least 2 years. Each volume of the 8 x 5½ inch hard covered notebook – some with metal clasps – held from 12 to 18 months worth of entries. Alas, many of the diaries become lost when the volumes were passed around the extended family for several decades before they were finally submitted to the care of the Warkworth Museum. 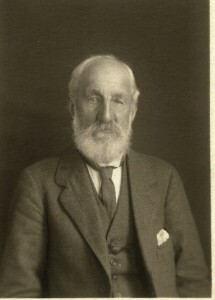 Charles Clarke died on 27 March 1929 at his daughters place in Whangateau, aged 85 years, just 10 days after his last diary entry. Diaries covering the voyage of the Queen of Beauty to New Zealand in 1863 – 64 are missing. Also missing are 20 years of diaries from 1868 to 1887 which cover the period of the births of his seven children and of his living in Auckland and his later return to Omaha. Any information regarding the location of these missing diaries would be very gladly received. Thank you! Have just moved to Pakiri and am trying to get a feel for what life was like here for the early European settlers. This blog is outstanding in its detail and rich history – what a find! Thank you so much for all your obvious hard work. I could tell there was a massive amount of effort put into this. Congratulations. Vern, do you have a copy of ‘The Log’ – a paper produced onboard the Queen of Beauty by CS Clarke? I managed to get photo copies of it from National Library & can send it to you if you would like them. I have also transcribed from copies of the original ‘Extracts of My Diaries), which are a little more extensive than Alvin’s translations, if you would also like them. Also have a transcription of Dory Davies writing “The Torkington’s of Ti Point”, transcribed from her originals.